A sensuous world of film emulsion, projectors and light : process and action performed. 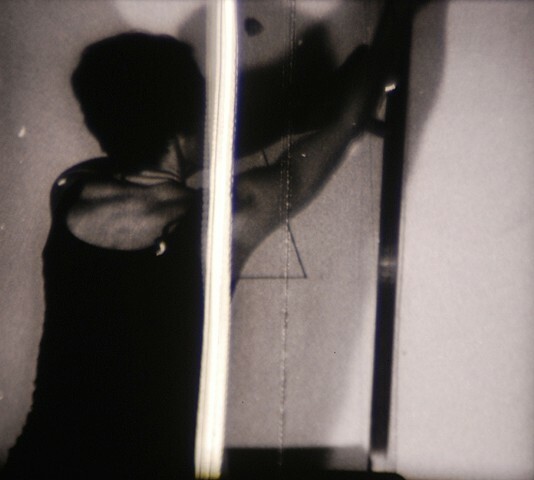 Examining the lines and scratches accrued by celluloid film during its travels through various processing and printing machines, projectors and reels; striving to control her materials and her environment, the artist makes her mark. Between action and material, gesture and touch, patina and impression.